Have you just started using Lync on Office 365, and when trying to federate with someone on another company, or when they try and federate with you, all you/they see is “Presence Unknown”? Continue reading through all the steps to enable federation on your Lync Online Organization. The first thing you need to do, is to make sure that all the necessary DNS records are in place. 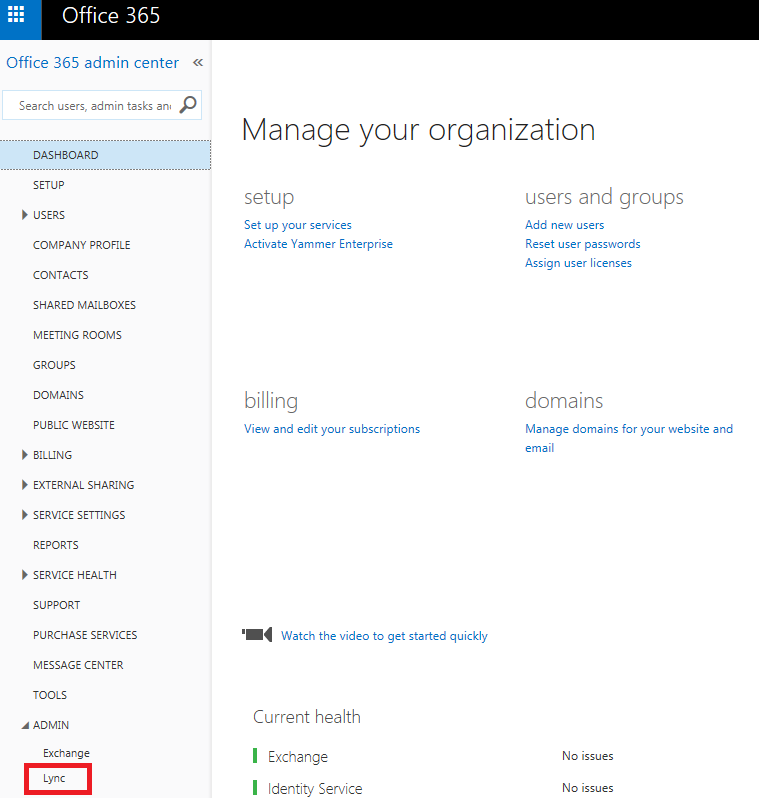 Go to your Office 365 Admin Portal, click on Domains or the left hand side, and you will see all of your domains. Lync uses the UserPrincipalName of the user to set the SIP address, which means that your SIP domain will be the one used for the UPN also (and btw it should also match your primary e-mail address). Select the domain and click on “Manage DNS”. Make sure the domain purpose is set for Lync Online. Make sure all the Lync Online DNS records are created on your public DNS zone. You can check which records you need to create also on the Manage DNS section. Why is this a required step? To enable it, on the Lync Online Admin Center, click on “Organization” and on the right hand side, click on the “External Communications” tab. You will see that the external access is defined to “Off completely”. Change it to “On except for blocked domains” or “On only for allowed domains”. You can also turn on or off the public IM connectivity, and below you can define all the domains to allow or block. And that’s it, job done. Don’t forget if you just enabled your Lync online tenant you need to allow federation, as it comes disabled by default. And make sure the DNS records are in place! It was a pleasure to work with the highly skilled Lync experts Fabrizio Volpe, Alessio Giombini, Lasse Nordvik Wedø and all the technical reviewers. It’s an experience that hopefully i will repeat soon.